10/12/2013 10/27/2013 nathanrushton9 Comments on What Have You Done With Your First Church of Lard Lad? What Have You Done With Your First Church of Lard Lad? Hey everyone and recently we obtained the first community prize, ‘First Church of Lard Lad’. 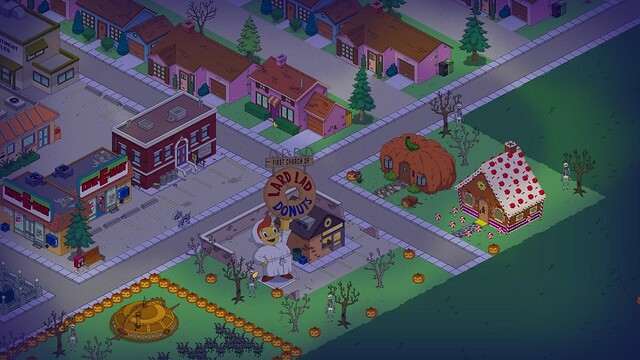 So we’ve had enough time to decorate and design our First Church Of Lard Lad. And this will be very interesting to see how you have made it more heavenly with donuts. I placed mine the same way I placed my Lard Lad donuts. But hopefully some of you will be posting some spooky designs. Mine has been simply placed around next to my large spooky forest which I will show later. 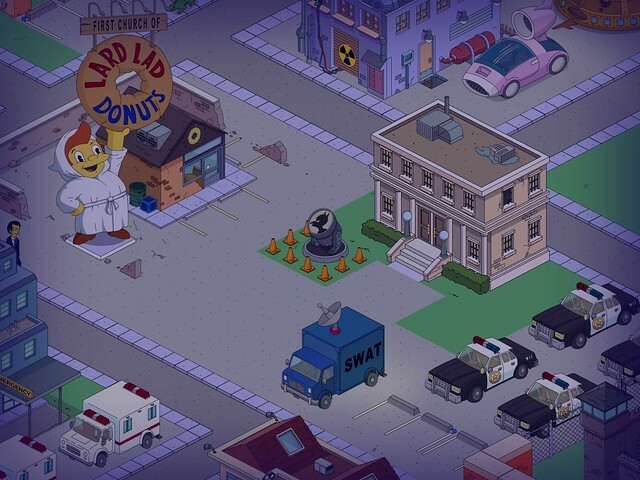 I have added some police cars for Chief Wiggum, Eddie and Lou. So what have you done with your First Church Of Lard Lad? Post your images in the comment section below by using Dropbox, Flickr, etc. Can’t wait to see these images! All images will be uploaded onto the post in a gallery slide show. Thanks again, Nathan. 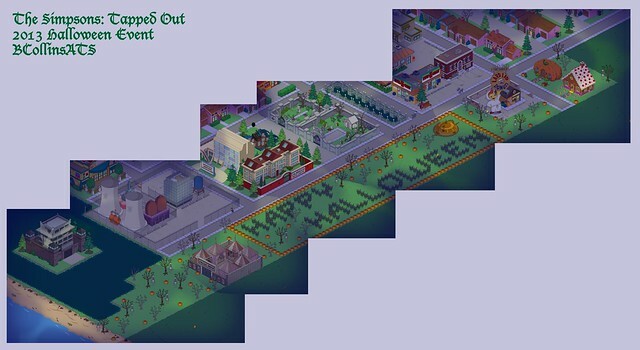 Categories Community Prize, First Church of Lardlad, Ghosts, Goals, Goo, Halloween 2013, Halloween 2013 Buildings, Update, Walkthrough, What have you done?Tags Chief Wiggum, Church, First Church of Lard Lad, Lard, Lard Lad, The simpsons tapped out First Church of Lard Lad, What have you done with? 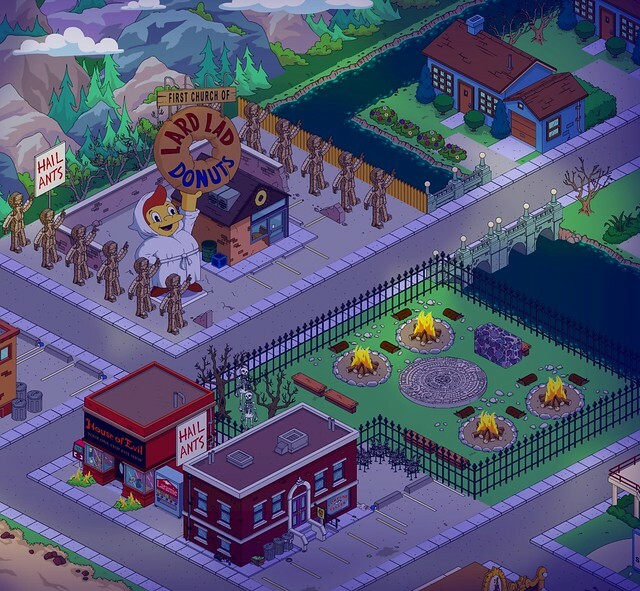 Here’s mine, by the police training facility. 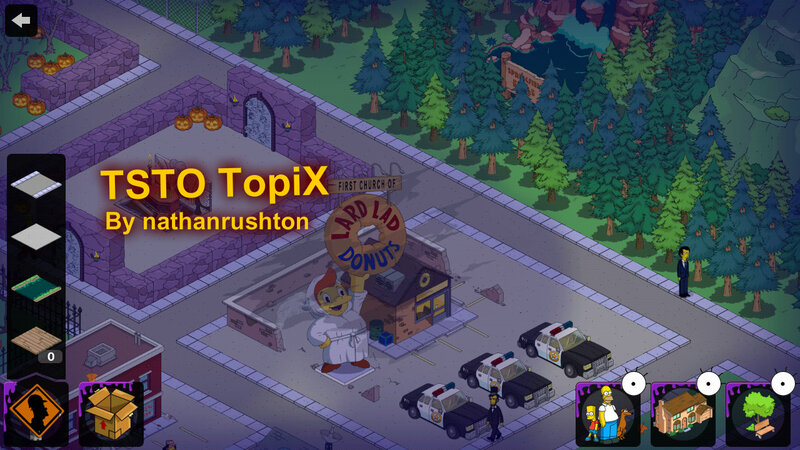 Should we get Kodos because I am growing impatient to see if I should spend 10 bucks on him. Sorry I am working on his post. I have had some personal obligations to tend to and fell a little behind. The one thing I’m really disappointed with is that it doesn’t seem to act as a normal Lard Lad store. 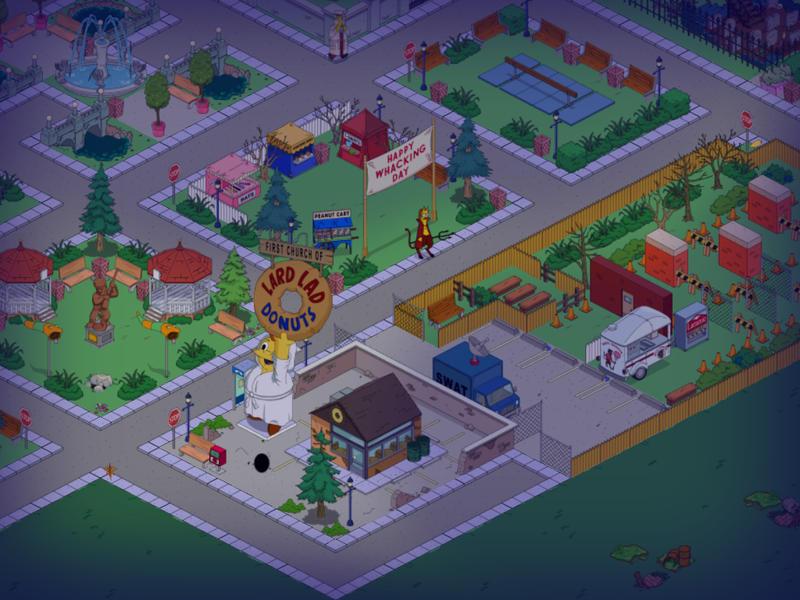 I don’t have any Lard Lads myself so I was hoping this would more or less act as an alternate skin/façade of Lard Lad and my characters would be able to finally go on donut runs. Now that the questline is over, it seems to be yet another unused building – which is a real shame since it IS just an alternate appearance of a premium, active storefront. At least it was free though. Then it wouldn’t be fair on those who did buy the normal one. Previous Should I Spend My Donuts On Booberella?